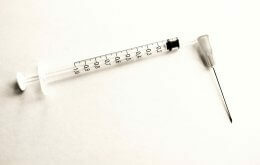 New research has revealed potential pathways to improved vaccines for children. The research, presented recently at the Annual Scientific Meeting of the Australasian Society of Infectious Diseases (ASID) held on the Gold Coast on Thursday, investigated the role of specialised white blood cells called regulatory T cells in controlling and suppressing responses to infant vaccination. The presenter, Professor Katie Flanagan who has appointments at the University of Tasmania, Monash University and RMIT believes that further efforts are needed to improve vaccine immunogenicity in early life since young infants’ responses to vaccination are often suboptimal. “Young infants are the target population for many vaccines since they lack a mature immune system and are highly vulnerable to infections”, Professor Flanagan said. She found evidence that regulatory T cells circulating in the blood at the time of measles vaccination suppressed antibody responses to the vaccine in 9-month-old infants. The results were then repeated in a second cohort of measles vaccinated infants which opens the possibility that these specialised cells might be manipulated in the future to improve vaccine responses in the vulnerable young. ASID President, Professor Cheryl Jones, said the research offers an exciting look into the critical role regulatory T cells play in vaccine efficacy. “It is a public health priority to ensure the young are fully vaccinated, and any improvement to this process will provide substantial benefit,” Professor Jones said.